At the end of the week, we resume everything that the cryptocommunity talked about over the past seven days. This week Justin Sun officially confirmed the purchase of BitTorrent, SEC rejected Winklevossbitcoin-ETF application again, and TechCrunch co-founder, Michael Arrington, said that bitcoin will reach $ 25,000 this year. 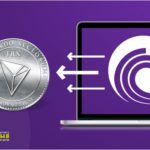 After several months of rumors and speculation, one of the largest purchasing in the cryptocurrency industry is officially confirmed: Tron Foundation, which is behind the Tron blockchain project, acquired BitTorrent. About this on Tuesday, July 24, said co-founder of Tron Justin Sun on his Twitter. 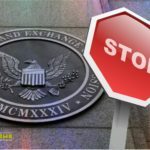 U.S. Securities and Exchange Commission (SEC) once again rejected the application of the Winklewoss brothers to create an index fund, tied to bitcoin (ETF). The Commission stressed that the decision does not reflect the SEC's attitude to cryptocurrency and blockchain as a whole and "their values ​​as innovations or investments", but rather relates to the structure of the application. Chinese mining manufacturer giant, Bitmain, announced a new round of financing. In the recently completed series B, led by Sequoia Capital, the company managed to raise $ 300-400 million. A new round of $ 1 billion will be completed by the end of this month and will increase the company's value to $ 15 billion. Google Corporation announced a partnership agreement with two blockchain companies - Digital Asset and BlockApps. This arrangement will allow it to offer new solutions for the blockchain devs on its own platform Google Cloud Platform (GCP). 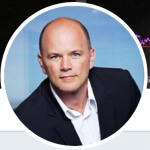 Bitcoin enthusiast, co-founder of Galaxy Digital, Mike Novogratz, believes that cryptocurrency market cap will not reach the level of $ 800 billion by the end of the year - the investor made such a forecast in the past. Now he claims that the price will reach this level within the next 12 months. Co-founder of TechCrunch website and Arrington XRP Capital hedge fund, Michael Arrington, said that now most of the cryptocurrency funds are accounted for by bitcoin, and not by Ripple. He also predicted that this year the bitcoin price will reach $ 25,000. Researchers from the University of Pennsylvania published a report on July 18, which analyzed 50 leading ICOs, whose total market cap was $ 3.8 billion. One of the key moments was that many ICOs did not promise investors protection against insider trading. There were no guarantees that the tokens would not be pumped and dumped by the whales and would not be subjected to other market manipulations. The Parliamentary Committee for Economic and Financial Policies of European Union, following the implementation of European Central Bank decisions, published a report on competition in the field of financial technologies. Its drafters came to the conclusion that in the event that banks and central banks issue their own cryptocurrencies, bitcoin and its analogs may suffer. Head of the National Commission for Securities and Stock Market of Ukraine, Timur Khromayev, said that the Financial Stability Board of Ukraine supported the concept of regulation of operations with cryptocurrencies in the country. In particular, Khromaev said that the concept calls for the recognition of certain cryptocurrencies and tokens categories with financial instruments, as well as assigns relevant functions to state bodies in regulating these instruments, licensing market participants and reporting. The Vietnamese State Securities Commission (SSC) banned financial companies from using cryptocurrencies. According to a statement issued by SSC this week, public companies, securities management companies and securities investment funds are prohibited from participating "in any transactions on offer, brokerage or transaction activities related to cryptocurrencies". The Lithuanian platform for cryptocurrency payments CopPay announced that from now on its customers in Tallinn, Riga, Vilnius and Kaunas will be able to buy smartphones, tablets, laptops, TVs and other Samsung-made cryptocurrency devices. The South Korean corporation will accept payments in bitcoins, litecoins, ethereum, XRP, Dash, NEM and Steem. The popular cryptocurrency wallet MyEtherWallet presented the beta MEW Connect, an application on iOS that allows users to access their wallets through MyEtherWallet without having to enter the private key. To date, such a solution can offer hardware wallets, such as Trezor and Ledger, but MEW Connect does it for free. Director for the development of web-based e-mail service with encryption ProtonMail Bart Butler on July 23 confirmed that his company is considering the launch of ICO. Also, Butler wrote on Twitter in response to negative comments that the company is preparing a token, wishing to pay coins with employees, that the service "is studying the possibility of issuing a token as an alternative to traditional venture financing." On July 20, the Huobi Exchange has announced the launch of the cloud platform Huobi Cloud, which will allow its partners to create in a short time reliable and stable exchanges of digital assets. Customers will be able to conduct over-the-counter trade and exchange cryptocurrencies, relying on the minimum necessary infrastructure. The Binance crytpocurrency exchange intends to intensify its activities in South Korea. This was hinted by the head of the company Changpen Zhao, speaking last week in Seoul before the participants of the conference Blockchain Partners Summit. 37-year-old John Montroll, a resident of the city of Saginaw in Texas, faces up to 20 years in prison for securities fraud and obstruction of justice after he pleaded guilty in court. Montroll ran the WeExchange crypto bench and the BitFinder cryptocurency exchange, which allowed them to buy and sell virtual shares in the commercial structures included in the listing on this platform. On Augur appeared "dark" markets, which can lead to fork. These markets allow users to bet on the fate of politicians, entrepreneurs and celebrities, and in some cases clearly point to murder. There are also markets on the platform that suggest betting on mass killings and terrorist attacks with a certain minimum number of victims. The network has two websites, allegedly associated with the discovery of sunken treasures on the cruiser of the Russian Imperial Fleet "Dmitry Donskoy." Both offer to invest in tokens. The first one is the so-called Donskoi International Exchange, which promises to the users of the platform a part of the profit from the found gold in the form of Shinil Gold Coins (SGC) coins. The second site, apparently, advertises the upcoming ICO for the aforementioned Shinil Gold Coin token. 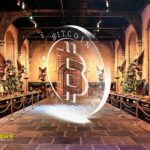 The head of Qiwi, Sergey Solonin, told reporters about the episode that happened in 2011, when the company's technical director through the self-service terminals secretly lured 500,000 bitcoins. After his resignation, the head of Qiwi ordered to start mining at all terminals, but the equipment could no longer cope with the task, since by that time the mining process had become too complicated. © 2018 bit.news | queries 233, for 0.167 sec.